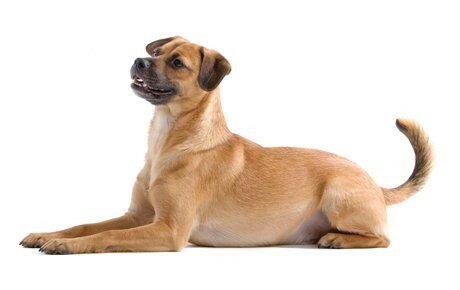 Unlike all other breeds, mixed dogs (or mutts) do not have a specific background or history. Each and every dog is completely unique from the next, and might not even share any ancestry with a purebred breed. There was a time in history that breeders did not try to interfere with canine populations. Different dog breeds would mate as they please, creating these mixed dogs that were vastly different from one another. These dogs are not intentionally bred for any specific reason, nor do they belong to any specific lineage. As you could probably assume, mixed breeds have unpredictable personalities. It really depends on what breeds they are mixed with, and which traits are the strongest. Their temperament may vary on their genetic makeup, but it can also be influenced by their training and socialization as a puppy. When bringing home a mixed breed, there are no guarantees in knowing what kind of personality they may have. However, with training and proper care, you as the owner can have a major impact on your dog’s overall behavior later on as your loyal companion. Just like with their personality, it’s impossible to know how trainable they will be. The best thing you can do is start your training efforts as early as possible. If your mixed breed is challenging you in any way, try enrolling him in a puppy training course. Be sure to also socialize your pup with different people, places, and experiences at a young age. This is suggested for all breeds so they can develop into well-behaved pups later on in life. Depending on their size and activity level, mix breeds require different exercise needs. Regardless of the type, a dog should get at least a 30 to 60-minute walks on a daily basis. Most dogs may become destructive or develop separation anxiety if they do not get enough exercise or attention. Most dogs also enjoy a good game of fetch or tug of war, which allows them to get mental stimulation while bonding with their owner. On average, most dogs live to be around 8 to 11 years old. As of right now, it’s impossible to know how popular the Mixed dog breed is since it is not registered by the AKC. What we do know is this breed is very common not only in the United States but around the rest of the world as well. In order to create a proper feeding regimen for your mixed breed, consider his size, weight, activity level, age, and metabolism. Consult with your veterinarian for extra assistance on your exact dog if you are unaware of his nutrition needs. It is also important to feed your mixed breed a high quality and nutritious diet twice a day. Look for products that contain all natural ingredients free of preservatives, byproducts, and fillers. Mixed breeds can have coats of any color, length, and texture. As a general rule of thumb, most dogs should be brushed at least once a week. Along with their regular coat grooming, be sure to brush their teeth at least once a week to mitigate the buildup of tartar and bacteria. Lastly, always check their ears and eyes for any sign of infection. Are Mixed Dogs Good with kids? Each mixed breed will interact differently when it comes to kids. Some are a lot more tolerant while others are overbearing and rambunctious. Normally, when a dog is raised with a child at a young age, they learn how to properly interact with them and can live together under the same roof. If you do not know if your mixed dog will work well with children, try introducing him slowly into the family while always supervising the situation. Hip Dysplasia: This hereditary condition is one of the most common health problems in dogs. Hip dysplasia in dogs occurs when the thighbone and hip socket do not properly fit how they should, causing the joints to grind against each other and inflict pain. In severe cases, arthritis may develop. Cancer: Cancer in dogs is a serious threat to all breeds and can develop in any area of the body. Ear infections: Ear infections in dogs can affect all breeds, especially those with long ears. To prevent this, clean your dog’s ears weekly with a veterinarian recommended solution. Canna-Pet works wonders for my little girl. She still has a seizure about once a month, but that is exponentially better than when she is without it.